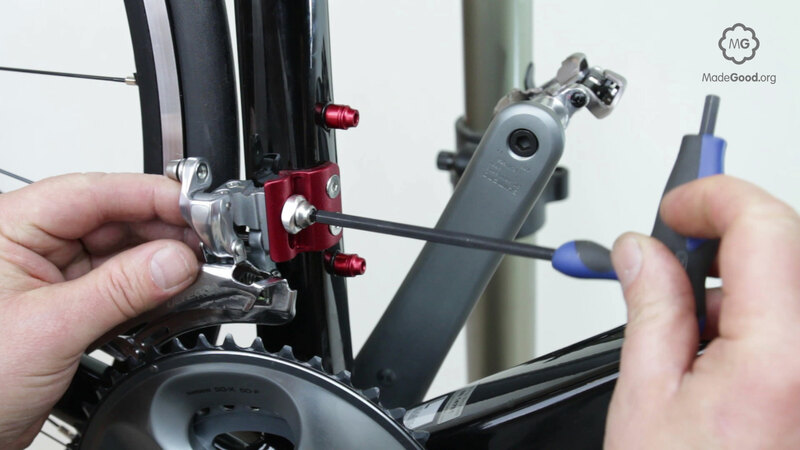 Any single-speed or standard derailer chain can be connected with chain tool. Narrow 9, 10 or '11 speed' chains have plates that are too thin to make this a reliable process and connect with special links that are supplied with them. Some chains – for example Shimano - have to be broken and reconnected with a special pin. Others with a trick link that can be dismantled by hand. 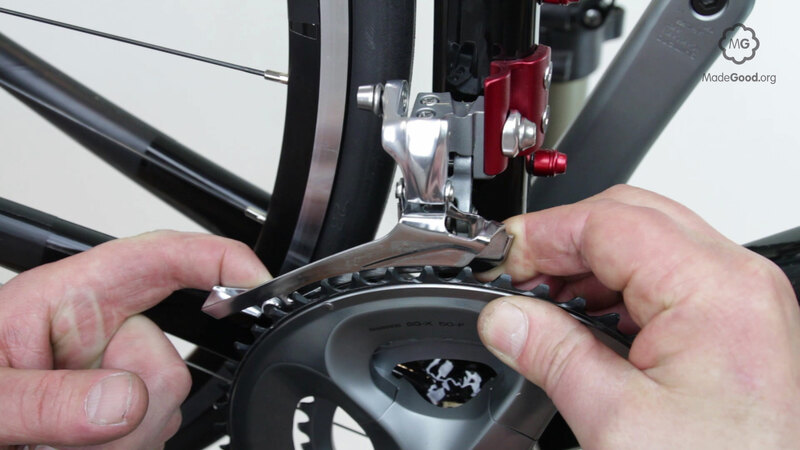 Set the front derailleur so that the outer plate of the derailleur cage – the metal plates that the chain passes through – is 2mm above the big chain-ring and lock it half-tight. 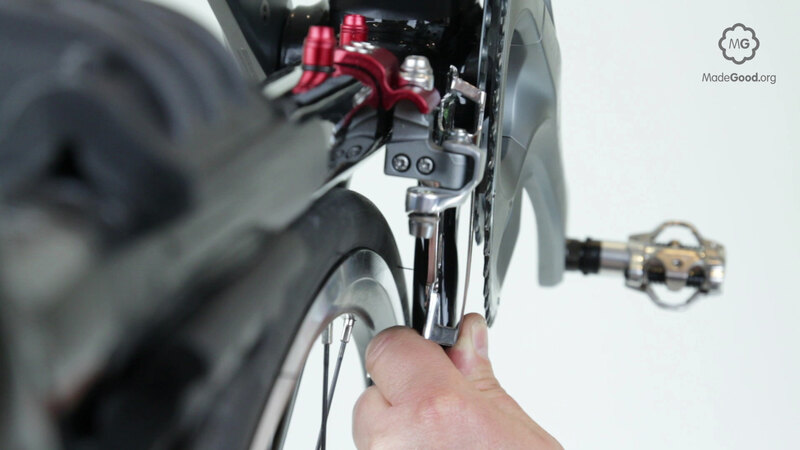 Work the front derailleur manually to check it won’t touch the chain-rings anywhere in it’s range of movement. In case of inteference raise the derailleur as little as possible to eliminate the clash. Set the cage plates exactly parallel to the chain-rings. 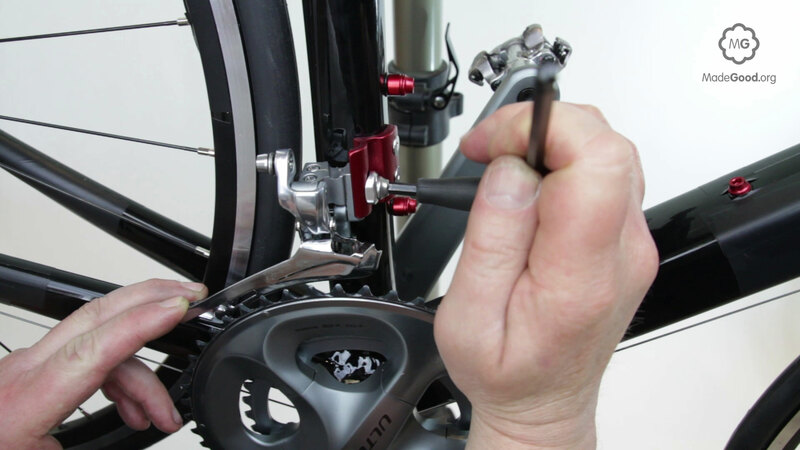 Tighten the fixing or the clamp bolt to lock the front derailleur in place.